And interesting little piece for you all. Paul takes us on a historic journey, to find out about one of the first true war reportage photographers and how he did his business. Read on. In the bag: Two Contax II bodies with uncoated Carl Zeiss Jena Sonnar 5cm f/2 lenses, Burberry raincoat and Dunhill silver pocket flask. 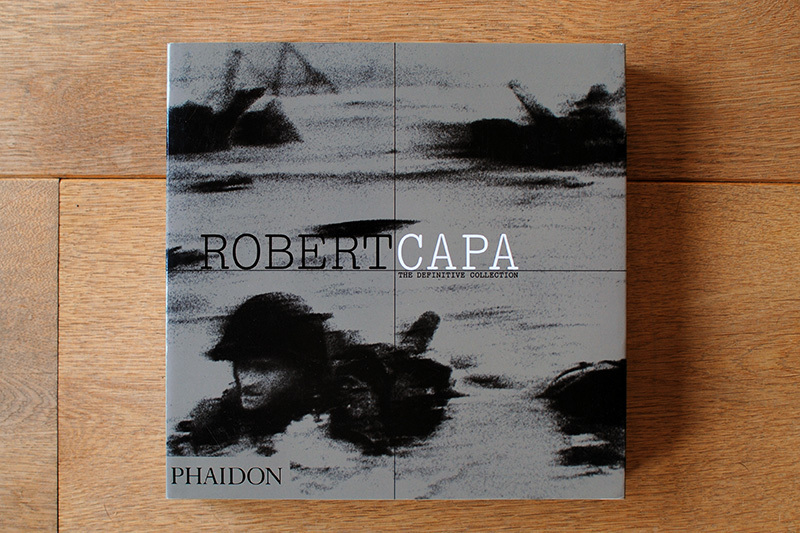 Before co-founding Magnum Photos in 1947 with Henri Cartier-Bresson and George Rodger, Robert Capa had already cemented his reputation as the charismatic, hard drinking, chain-smoking American war photographer. When he returned from the Spanish Civil War he was a celebrity and Picture Post called him “The Greatest War-Photographer in the World.” The picture that made him was entitled Loyalist Militiaman at the Moment of Death, Cerro Muriano, September 5, 1936 but he produced his most celebrated work on the Normandy beaches in 1944. When Capa was learning his craft in the 1930’s, the arrival of Leica and Contax rangefinders were transforming photojournalism, allowing photographers to travel light and move fast. 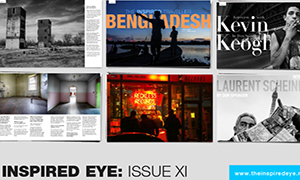 The quality of the lenses together with duotone printing and high acutance Rodinal developer made it possible to shoot the new 24 x 36 mm format hand-held and produce sharp, high quality images for publication. 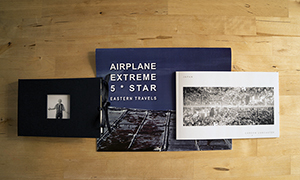 Capa was one of the first to transfer this new approach to war reportage. While in China in July 1938, he used a roll of Kodachrome to capture the aftermath of an air raid on Hankou. Kodak’s new colour transparency process had appeared barely a year before and this was the first time it had been used for war reporting. 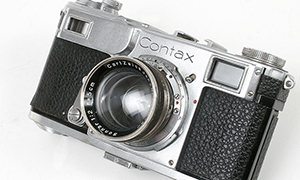 Early Kodachrome emulsions had a sensitivity of about 10 ASA but Capa was still able to shoot handheld in bright conditions with a Contax II and Carl Zeiss Jena Sonnar 5cm f/2, a state of the art fast lens of its time. In recent years, Capa’s reputation has been tarnished by suggestions that he faked his famous Moment of Death shot. 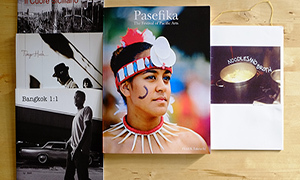 Whatever the truth, he was an innovator who made a career out of putting himself at the centre of the action in a way that no other photojournalist had done before. When Capa famously said, “if your pictures aren’t good enough, you’re not close enough” he knew what he was talking about. On D-Day, he ended up in the water with the first wave of the American 1st Division at Omaha Beach, shooting four rolls of film under a hail of German machine gun fire. Capa headed for a disabled American tank taking pictures as he went. He remembered feeling “a new kind of fear shaking my body from toe to hair, and twisting my face.” With great difficulty he reloaded his camera with trembling hands. All the while he repeated a sentence that he had learnt in Spain: “Es una cosa muy seria” (“This is a very serious business”). When he reached England, the film was couriered to LIFE magazine’s London bureau. In the rush to get the pictures out, a fifteen-year-old lab assistant called Dennis Banks set the dryer too high and melted the negatives in three complete rolls and over half of a fourth. Capa had risked his life for eleven frames of film. One striking thing about the pictures is that Capa is not only in the thick of the action but he is often in front looking back. This is particularly noticeable in several shots of army engineers clinging to steel anti-tank obstacles. Capa is positioned between them and the enemy beach. Capa always insisted that the blurriness of the images had nothing to do with his hands shaking, although nobody would have blamed him if it had. On that grey, overcast morning at first light, he would probably have been shooting wide open with film that by todays standards had a sensitivity of ISO 50 at the most. By the end of the war Capa had seen more action than some front line soldiers and for a while he retired completely from covering war, producing a large and mostly unknown body of colour work. He later accepted an assignment from LIFE to cover the war in French Indochina and was killed by a landmine in 1954. Loved it, he’s defiantly a historic person who has played an impact on most if not all of us some how. I think this kind of articles add a lot of value to the blog (which is indeed quite good btw) Please keep showing work like this! 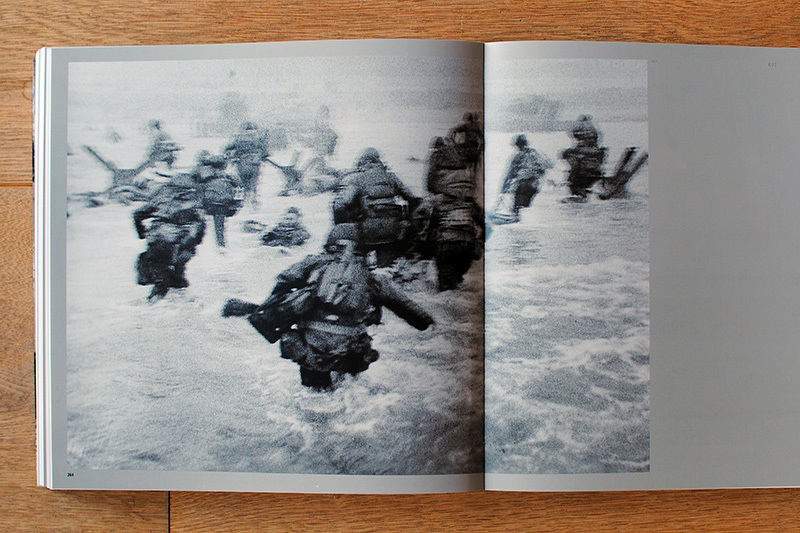 The so called ‘blurriness’ of Capa’s images from Omoha “Easy Red’ were nothing to do with Capa or indeed his Contax. Unfortunately, having sent all of his films in a press bag back to London, the darkroom assistant of Life magazine had turned on too much heat whilst drying the negatives (in order to speed up the processing), as a result the emulsions melted and ran down. Out of 106 pictures that Capa has risked his life in capturing, only 8 were salvaged and these were badly blurred as a result. For a truly great and comprehensive read on Capa and his life, read “Slightly our of focus”. 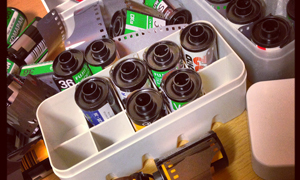 The over-drying can’t have helped but under the circumstances and considering the type of film that Capa had at his disposal it’s unsurprising that the images are not pin sharp. The point is he was there and he delivered. I don’t think there is much disagreement about the number of frames that survived – nine of them are visible in the article. Huge coincidence, I have ordered Capa’s book your presenting on Amazon about an hour before reading this article ! Can’t wait to receive it now ! Very nice article by the way, +1 for seeing more of that. Great article. Very brave man making photos of brave, young, scared kids. I believe the young GI pictured on the cover of the book you’ve featured survived and lived to a grand old age. I think I saw him interviewed on American TV a few years ago. Can anyone confirm? Gentlemen, if you do a few Google searches, you will see that the story of the “melted negatives” is not true. Let’s think about D-Day. You’re Capa, under fire by the Germans, using rapid-fire machine guns. 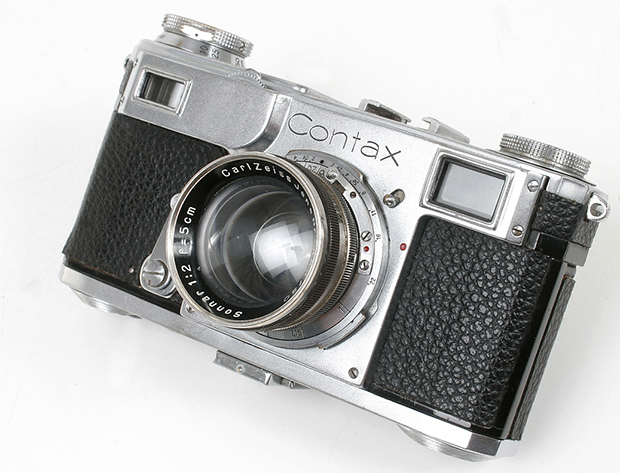 You’re trying to load a cumbersome, finicky Contax, having to slide the back off, taking a spool out, attaching the film to it, loading it in place, putting the back on, turning two knobs to close the back, and advancing the film a few turns with an advance knob to begin shooting. not paying attention to whether or not the film is really advancing through the camera. Remember, you’re under fire and stressed out, not to mention soaking wet, and so is your camera, your very shiny chrome camera. Also, it is impossible for what amounts to a hair dryer “melting” an emulsion off a negative. 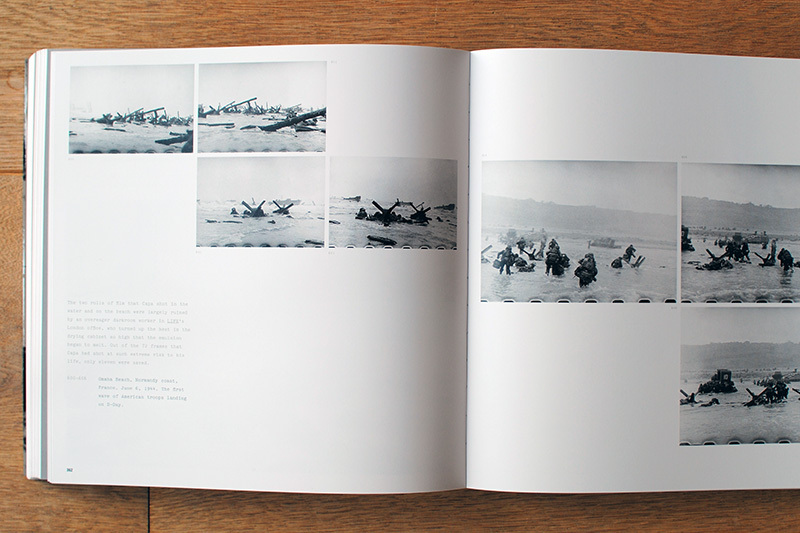 We should appreciate the few images that Capa was able to capture for what they are- documents of nothing less than the beginning of the Liberation of Europe. The blurriness of the remaining negatives clearly has nothing to do with the overheating but all with motion blur. Relative low speed film, overcast day, and probably too many bullets flying around to be overly concerned with technique. And off course no automatic ISO adjustment in the Contaxes. Anyone who argues the blurriness is a result of the subsequent lab treatment clearly has never shot with a film camera. The images are the more powerful for it. It makes the viewer realize the photographer was under fire too..